The Embark Package: Entrepreneur Journey is for the passionate, purpose-driven business woman who is ready to level-up a recent startup or the gutsy emerging entrepreneur who is ready to launch her own business or side-gig. She may or may not be ready to leave her corporate job, but she knows now is the time to start her passion project, because the right time may never come. From creative branding concepts, logo design and starter web-page to an audience-targeted outreach plan and optimized service offerings, you’ll have the visual and written content and small business startup resources to feel confident about launching and growing your new venture. 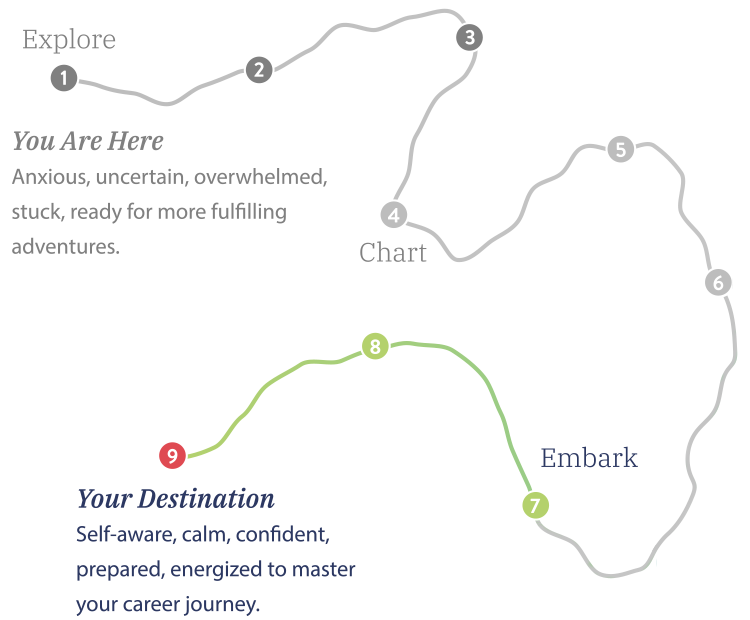 Explore my Method Map to see how your journey unfolds. To get in on the Embark Package: Entrepreneur Journey: Select a date and time below for your kickoff session with Carole. Enter your information. Purchase the package. And you're all set.